In August 2016, Israeli entrepreneur Joel Zamel, owner of the Psy-Group intelligence-gathering firm, reportedly met Donald Trump Jr. in New York to discuss ways to help presidential candidate Trump win the election, a claim dismissed by the US president as false. The Wall Street Journal has cited sources familiar with the matter as saying that in late 2016, a company owned by Israeli entrepreneur Joel Zamel clinched a deal on a strategic partnership with the digital media firm Cambridge Analytica which has been mired in a scandal surrounding illegal data. The two's Memorandum of Understanding, which was signed on December 14, 2016, stipulated developing bilateral cooperation "on a case-by-case basis to provide intelligence and social-media services, or pitch business to an array of clients," according to the sources. Late last week, US President Donald Trump rejected a New York Times report that Trump Jr. met Zamel and an emissary to Saudi Arabia and the United Arab Emirates in New York in August 2016 in a bid "to offer help to the Trump team." Trump tweeted that "things are really getting ridiculous" and that "the failing and crooked […] nytimes has done a long & boring story indicating that the world’s most expensive Witch Hunt has found nothing on Russia & me so now they are looking at the rest of the World!" In separate development last week, media reported that US Special Counsel Robert Mueller's team is investigating the Psy-Group's money flows into its Cyprus bank account. 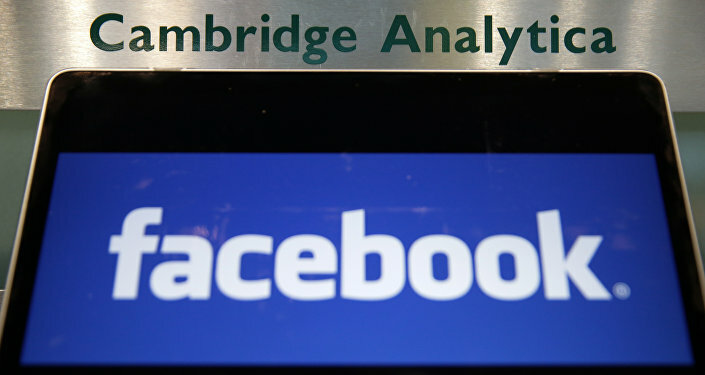 Cambridge Analytica, last week, filed for voluntary bankruptcy in the US Bankruptcy Court for the Southern District of New York, in a move that came after the US Justice Department and FBI opened a probe into the company's financial dealings. Earlier media reports claimed that the personal information of about 50 million Facebook users had been harvested by Cambridge Analytica during the 2016 US presidential elections on behalf of the Trump campaign.